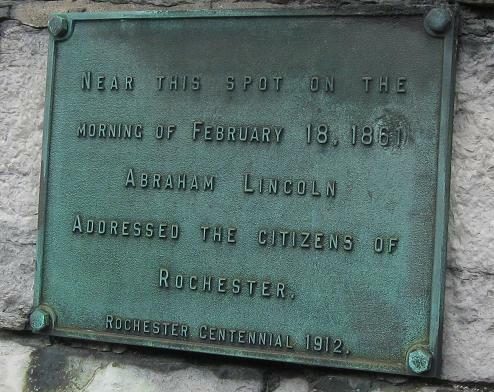 The Inner Loop is a pretty short freeway encircling the very center of Rochester. Through traffic is using the southern portion of the Loop because it's multiplexed with I-490 (follow the big link below), so everyone else is just local. 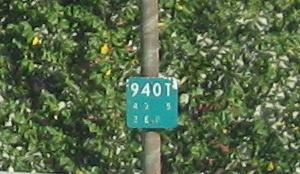 Not sure if this freeway makes sense, but there it is anyway. 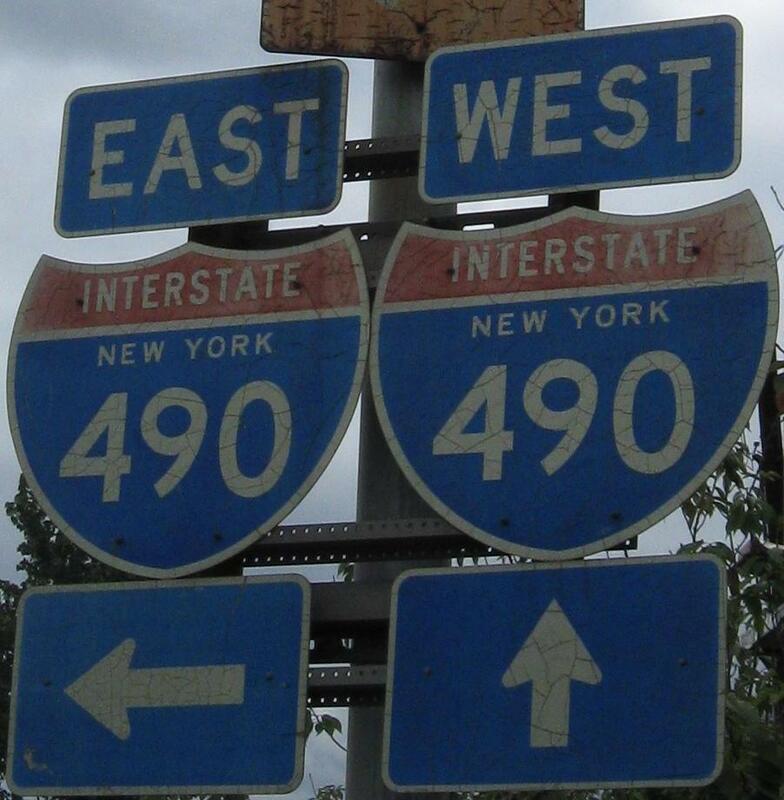 There is no formal Outer Loop, but NY/I-390, NY/I-590, and NY 104 take care of that function. 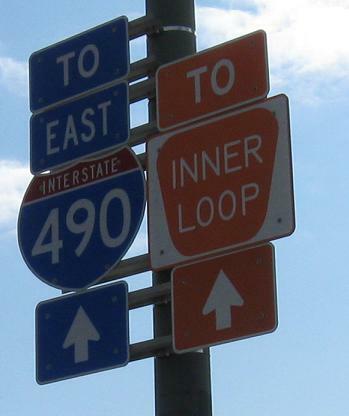 The newest breed of Inner Loop signs are black on white and no longer white on orange. 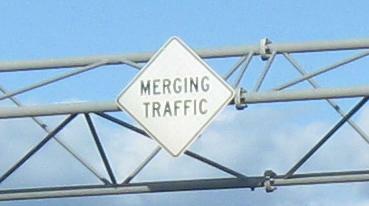 While I lament the death of unique colored shields (such as the loop routes in Arizona), this shows why the change was adopted. Interestingly, BGS shields that you'll see below have survived decades just fine, but standalone shields tend to fade to yellow on white (like the State St. shield atop the page) and then to white on white like this North St. NB shield. 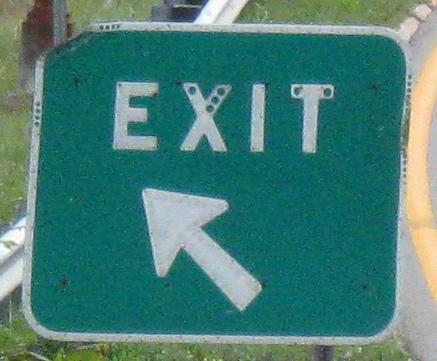 Click for a drive all the way east (clockwise) around the Inner Loop. 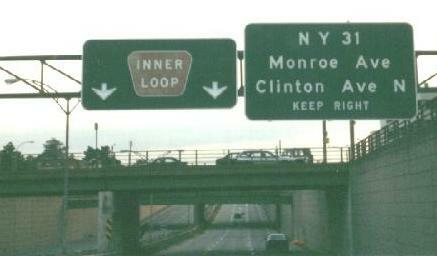 Clockwisebound from I-490 to the only button-copy Inner Loop shield left on the mainline (there's one more on NY 15) and then off the only left-exit ramp on the Loop. 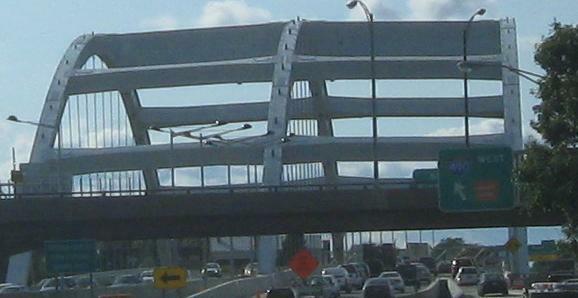 I would guess this was a temporary end to the Loop until it was completed back to I-490. 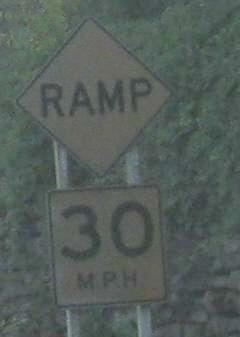 Continuing clockwisebound past the East Ave. (NY 96)/Broad St. ramp onto the ramp to I-490 EB, ending with the only remaining old-style 940T reference marker atop the page. 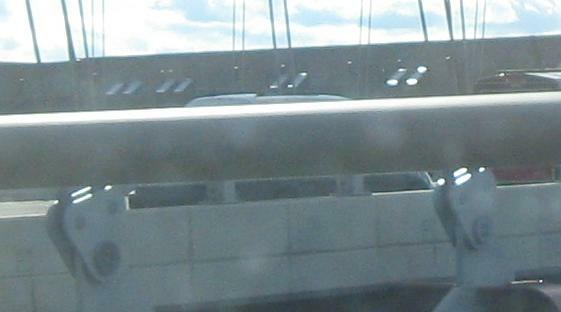 The seemingly backward-moving connection to I-490 WB just leads straight onto the brand-new bridge because this is, after all, a Loop. The second photo is courtesy Doug Kerr and gone now. Now the counterclockwisebound photos. 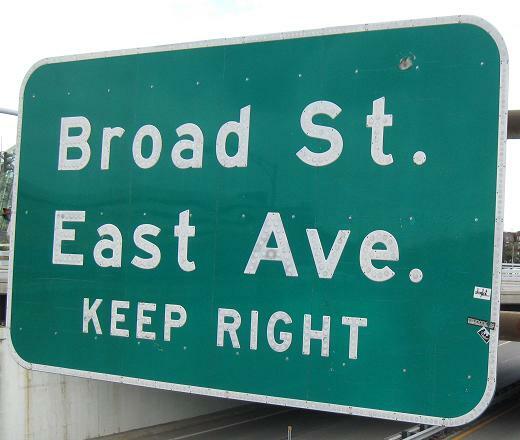 There was a pedestrian overpass between Broad St. and East Ave. but you can see there's no way to use it now. 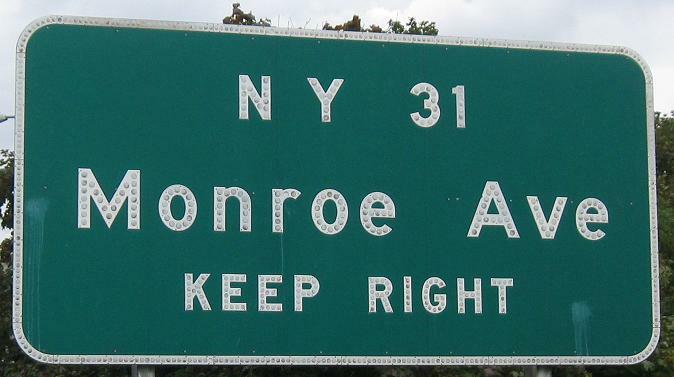 You also see that East Ave. is inexplicably not referred to as "N Y 96" similar to the "N Y 31" for Monroe Ave. 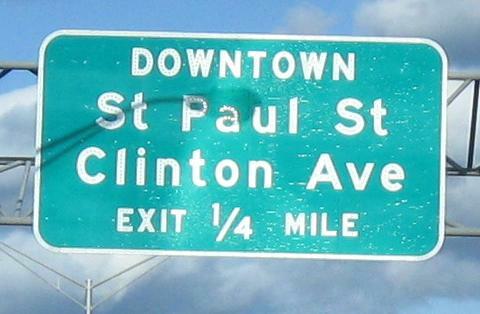 Historical interest dating before the automobile and even button copy, on the WB ramp to State St. 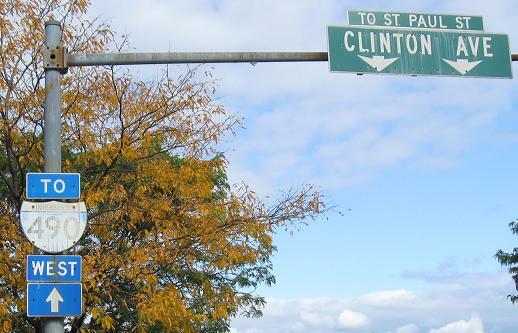 The first photo is at Mill St. in the side of the railroad embankment and the others are at and just past Plymouth Ave. (State is between the two). 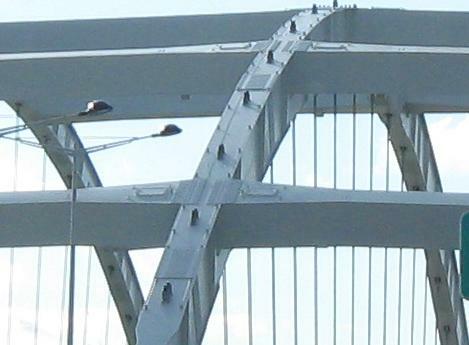 Click for closeup of the state-name shields. Continuing down Plymouth Ave., the first photo is Main St. EB at Plymouth and the second is Plymouth SB at Main. 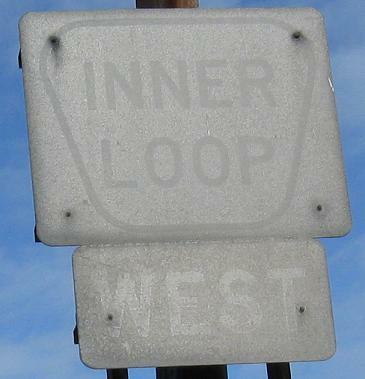 Does it seem odd that Main St. traffic would be directed north to the Inner Loop when there's a much newer assembly (with ugly font and the wrong Interstate shield), clearly visible before you turn, that would suggest you turn right instead? 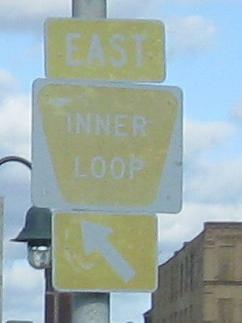 The plain Inner Loop (clockwisebound) is in fact to the left, while the multiplex with I-490 (counterclockwise/eastbound) is to the south on Plymouth. 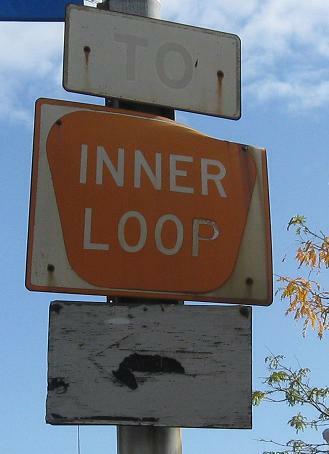 Because Inner Loop has a shield, it does get signed as a multiplex. 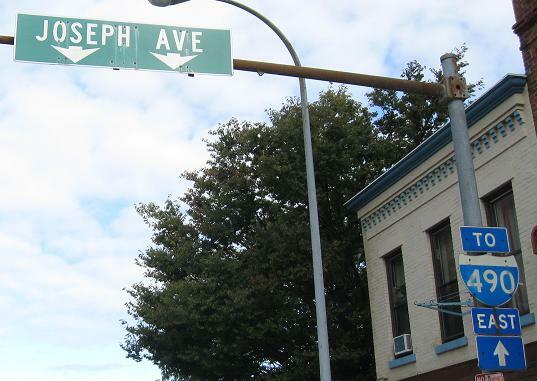 Unique old assemblies on Clinton Ave. NB (the first two photos are next to each other), and a new BGS with tacked-on wooden shield if you take the Joseph Ave. branch. 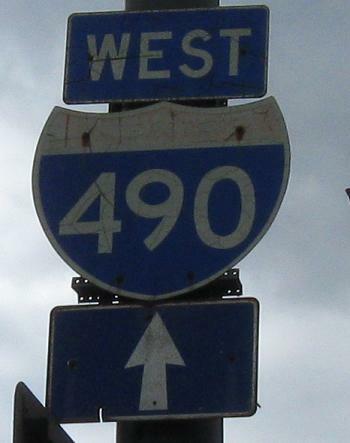 As construction along I-490 progresses, the Inner Loop CCWB (counterclockwisebound) connection to I-490 EB will reopen, and then the wooden shield will be removed. 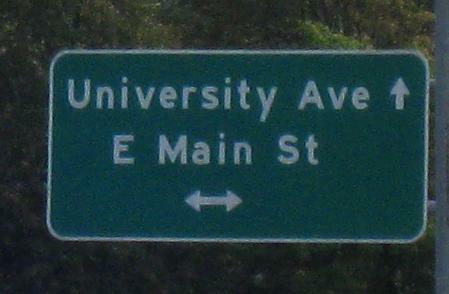 An outdated "Walk on left facing traffic" sign was reused for a corner lot at the top of the University Ave. ramp at Main St. 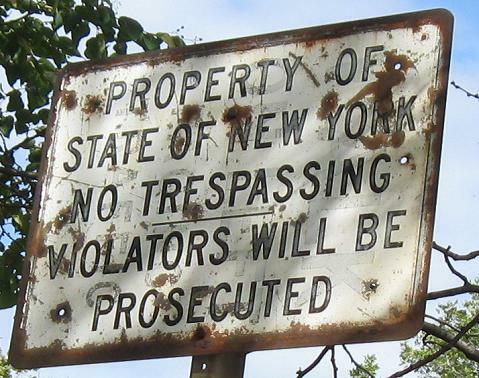 Since the reprint dates to when the Inner Loop was constructed, the original sign is considerably older than that, back to the 1940's or 1950's.